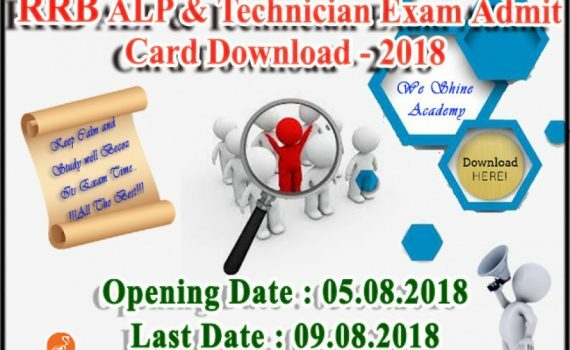 RRB ALP Recruitment 2018: RRB has issued a Notification for Recruitment of Assistant Loco pilot and Technicians. 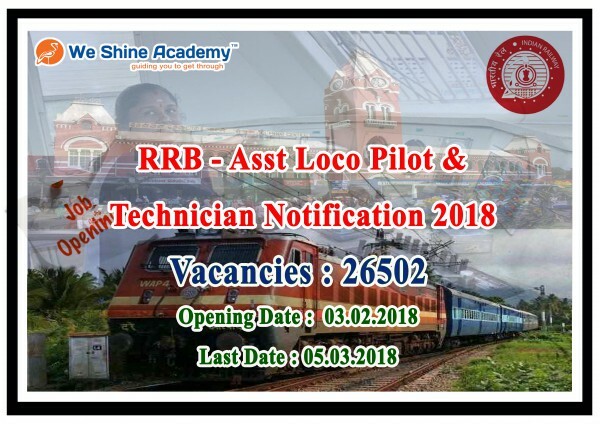 RRB Assistant Loco pilot and Technicians Recruitment Notification is released to fill 26502 Vacancies. Interested Candidates can apply from the below link provided which will directly redirects you to the RRB Official website. Eligibility is given priority. So, kindly Check the Eligibility Criteria before Submission. Post 1 : Matriculation/ SSLC plus ITI from recognized institutions of NCVT/ SCVT in the trades of Armature and Coil Winder/ Electrician/ Electronics Mechanic/ Fitter/ Heat Engine/ Instrument Mechanic/ Machinist/ Mechanic Diesel/ Mechanic Motor Vehicle/ Millwright Maintenance Mechanic/ Mechanic Radio & TV/ Refrigeration and Air-conditioning Mechanic/ Tractor Mechanic/ Turner/ Wireman or Matriculation/ SSLC plus Course Completed Act Apprenticeship in the relevant trade or 3 years Diploma in Mechanical/ Electrical/ Electronics/ Automobile Engineering or Combination of various streams of these Engineering disciplines from a recognized Institution in lieu of ITI.